When it comes to prized Rolex/Tudor lore, there are few things as desirable as red text on the dial and the venerable riveted Oyster bracelet. 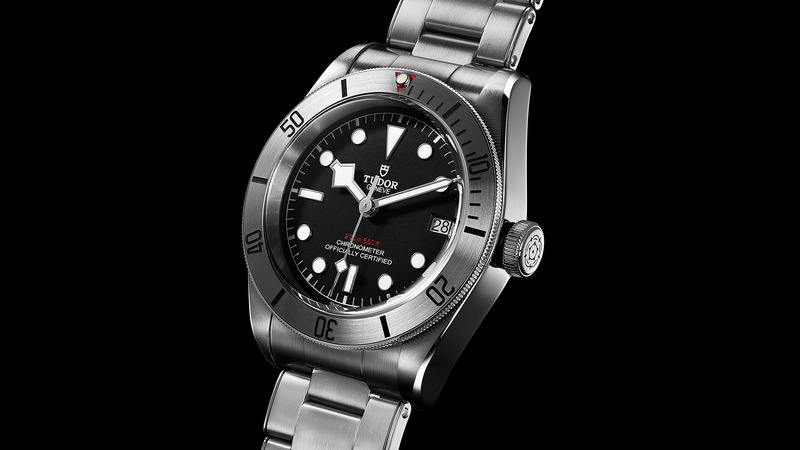 For Baselworld 2017, the Tudor Heritage Black Bay Steel comes with both a single line of red “200m/660ft” text on the dial and a riveted Oyster bracelet much like the very first ones which graced the lugs of a 1947 Rolex Oyster and on later models like the Tudor reference 7922. When the riveted oyster bracelet was first unveiled, it was a gorgeous steel construct which was 20mm thick at the lugs tapering down to 15mm at the deployant clasp. Though hindsight it was nowhere near as robust as oyster bracelets today, back in the day, it was the sweetest thing in watchmaking since alloy hairsprings. By mining the depth of the company’s heritage, the Tudor Heritage Black Bay Steel (so named for its cool steel bezel) is a nice change of pace from the typical straight up heritage re-issue. Incidentally, it’s also the first in the Black Bay family to feature a date complication at 3 o’clock. The mono-steel Tudor Heritage Black Bay Steel is conveys a certain elegance with its interrupted brushed steel look and when combined with the thin (as compared to the original riveted bracelets) riveted bracelets, it gives a rugged tool watch a bit of a dressy feel. For a look of plain machismo, wear the Tudor Heritage Black Bay Steel with leather or fabric NATO-style strap and you’re ready to go to work. The Heritage Black Bay Steel now joins a family of Black Bays available in Bronze, Red, Blue, Black and Dark. 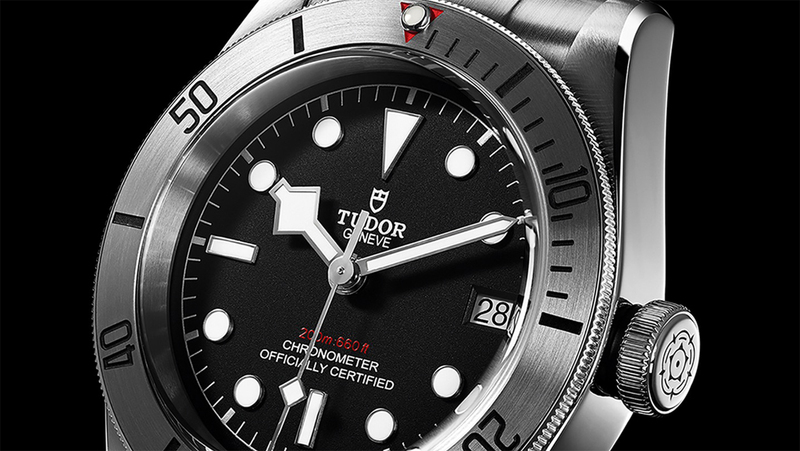 The Baselworld 2017 Tudor Heritage Black Bay Steel is powered by the COSC-certified in-house automatic caliber MT5612, a first for the brand and also first used in the Tudor North Flag and also in the Pelagos. 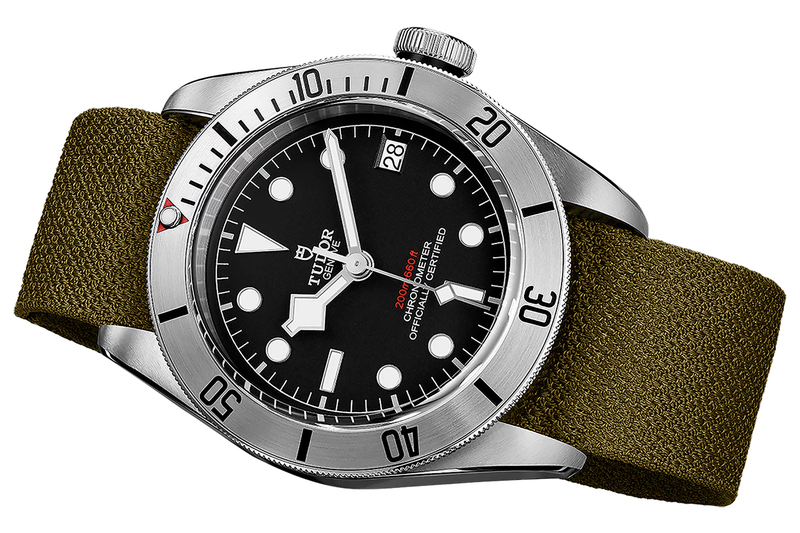 Price of the Tudor Heritage Black Bay Steel with riveted bracelet – CHF3,6oo. With a leather strap, the price of the Heritage Black Bay Steel is CHF3,300. (both editions come with the fabric strap).